Villa Söderås, built in classic Art Nouveau style in 1912, is one of Lidingö’s most prominent villas. Situated on the Hustegafjärden bay at the eastern tip of Lidingö, the property has an enchanting view over the sea approach to Stockholm. In its recent history, the villa’s roles have included that of up-market archipelago guest house with a gastronomic profile. Villa Söderås was designed by the architect Harald Falkman and was originally built as a summer residence by Carl L Laurin, CFO of the publishing company, Norstedt & Söner. The property is now included in the NFF Nordic AB group of companies that conducts the management and leasing of cultural properties. On completion of the restoration, there are plans for the ownership of Villa Söderås to be transferred to a trust. Many years of restaurant business have taken their toll on Villa Söderås. The villa is now undergoing complete restoration to bring back its elegance from the beginning of last century. The basis for the restoration work is that the antiquarian values should be preserved at the same time as the property is adapted for modern functionality and low energy consumption. When the restoration is complete in about 2020, irrelevant materials and distortions that resulted from remodelling in the 1970s, will have been removed. They will be replaced with contemporary material such as high-quality green copper, Kolmård marble and glazed roof tiles to enable the building to shine in its original style. 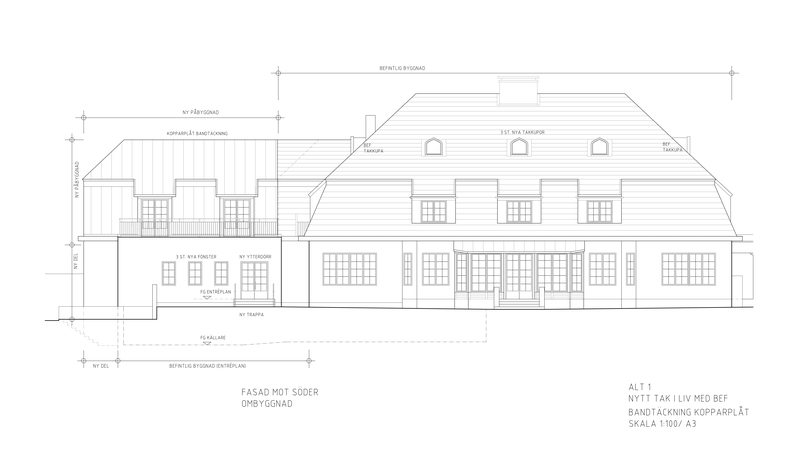 Villa Söderås will then be able to return to operation in the areas of hotel, restaurant and conference business, or for institutional purposes in accordance with the City of Lidingö’s zoning plan. The site on which Villa Söderås stands was hived off from the Elfvik Estate by the owner at the time, former Colonel Albert Janse, who needed capital for the extensive renovation of Elfvik. The site was one of several that Janse sold at the beginning of the 1900s to wealthy Stockholmers who were looking for a summer residence close to the archipelago. Through the years, Villa Söderås has been used at various times as a private nursing home, a conference facility for PK-banken/Nordea, and as a restaurant and hotel for private individuals and conference delegates. In 1977, a separate, large hotel building with some 40 rooms was erected behind the villa. 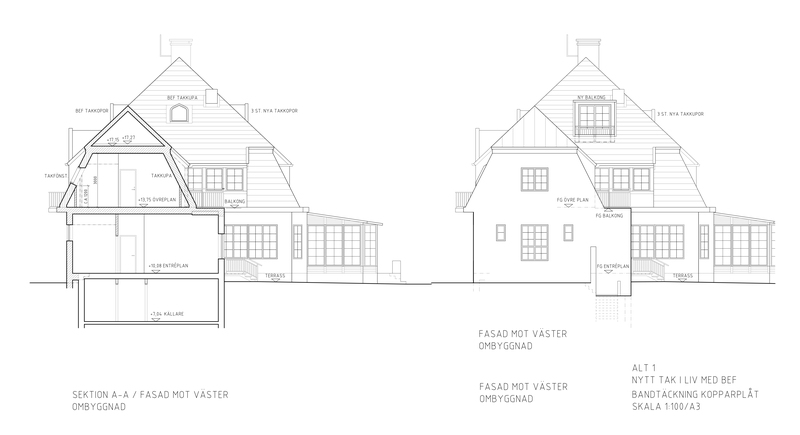 Here are the architect’s drawings relating to the restoration. 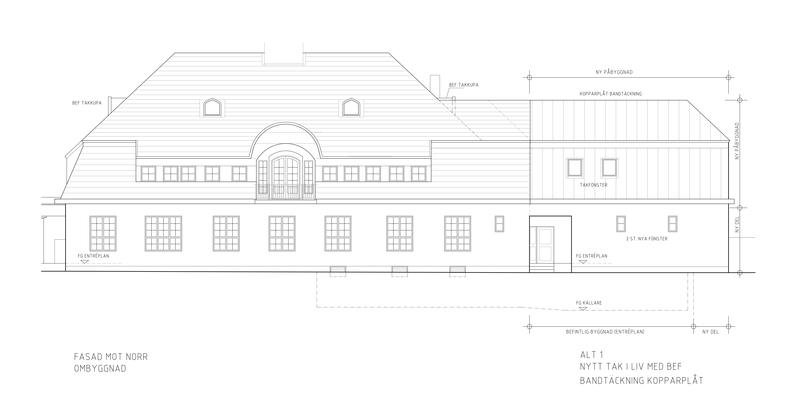 We will provide continuous information regarding the progress on the restoration of Villa Söderås. Please get in touch if you have questions regarding Villa Söderås.